The Children Science Congress kindle curiosity of the children, provide the opportunity to unfold their creativeness and stretch their imagination. The programme is catalyses and supported by National Council for Science & Technology Communication, GOI. The mandate of participation is that, the children carry out project on a particular topic in relation to theme and sub-theme announced by NCSTC,GOI, which continues for two years. The selected awardees are sponsored for National Children Science Congress held every year from 27th December to 31st December at selected venues. To provide a forum to the children to pursue their natural curiosity and to quench their thirst for creativity. To effect a change in the way science is taught and learnt at schools, by relating the learning process to the physical and social environment around. To encourage children to visualize the future of the nation and help building a generation of sensitive, responsible citizens. To stimulate scientific temperament and learning the scientific methodology for observation, collection of data, experiment analysis and then arriving at conclusion. 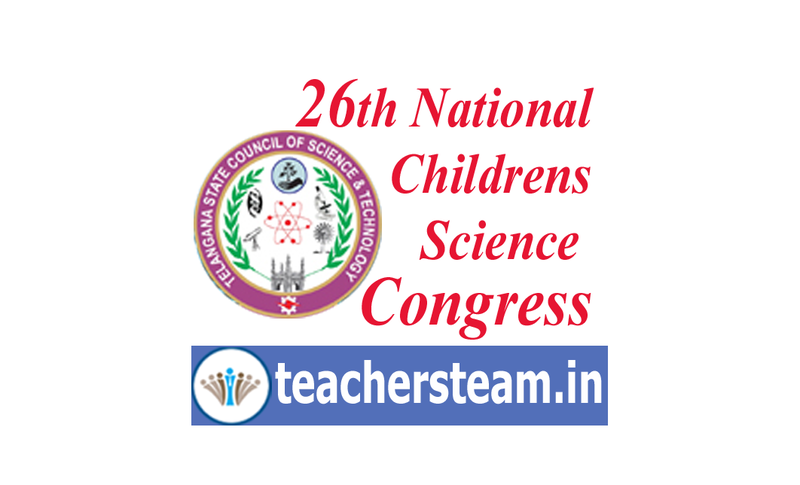 The focal themes of Children Science Congress are varied and are of national significance. This is a forum open to child scientists in the age of 10-17 years as on December 31 of the calendar year. This event of NCSC is not restricted to the school-going children only but is also open for the non-school children from the marginalized sections of the society. The children are expected to carry out projects related to the focal theme and the identified sub-themes. Activity books are available to help guide teachers and the child scientist. A group of children not exceeding five, can do the project with the help of scientist, school teachers, co-ordinators of school science clubs, activists of science based voluntary organizations etc. The teachers/guides receive special orientation on the theme of the CSC every year. Focal Theme of NCSC-2018: "Science, Technology & Innovation for Clean, Green and Healthy Nation "
Human impacts on weather and climate. Weather, climate, society and culture. Indian Science Congress : 3 - 7 January, 2019, Bhopal, Madhya Pradesh State. One can choose any innovative project but it should fall under one of the sub-themes. Problem should be relevant to the society and the solution should be scientific. Relevance of the project to the school/immediate neighbourhood community / village and its impact on target group should be kept in mind. Understanding ot the subject, effort of team work, Collection and validation of data, Quality and Quantity of work will be assessed. Originality of the idea, innovation in design and creativity in presenting the problem and also the solution shown is important. They should adhere to the time schedule. They can consult the activity guide available with the District Co-ordinator with regard to the projects and other guidelines of NCSC. No model is required for the project presentation. Use only supportive materials like Map, Charts, Photos, Posters etc. The selection ratio of Lower age group (10 to 14 years of age) to Upper age group (14 + to 17) should be 40:60.